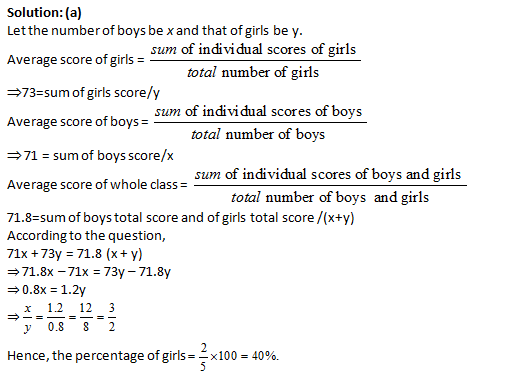 Question 1: In a class, the average score of girls in an examination is 73 and that of boys is 71. The average score for the whole class is 71.8. 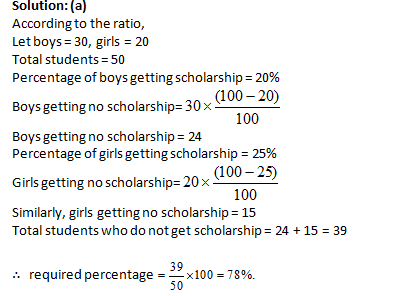 Find the percentage of girls. 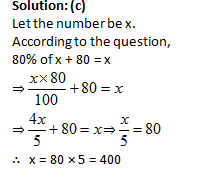 Question 3: Two numbers are respectively 10% and 25% more than a third number. What per cent is the first number of the second?